Every athlete is anatomically, physiologically, and functionally unique. Peak State Fit’s Bike Fitting services in Salt Lake City provide an encompassing, comprehensive, and pragmatic approach to addressing a rider’s unique anatomy, functional imbalances, strengths and weaknesses by looking first and foremost at how an athlete moves in space. Pat and Heather begin by interviewing the athlete, discussing their goals, previous injuries, and known imbalances/weaknesses. They perform a functional movement screening to magnify areas of tension, impingement, and compensation. Their backgrounds in strength and conditioning, corrective exercise, and mobility allows them to readily apply this information to culminate with the rider’s optimal position on the bike, all while providing an experience that's interactive and educational for the client. 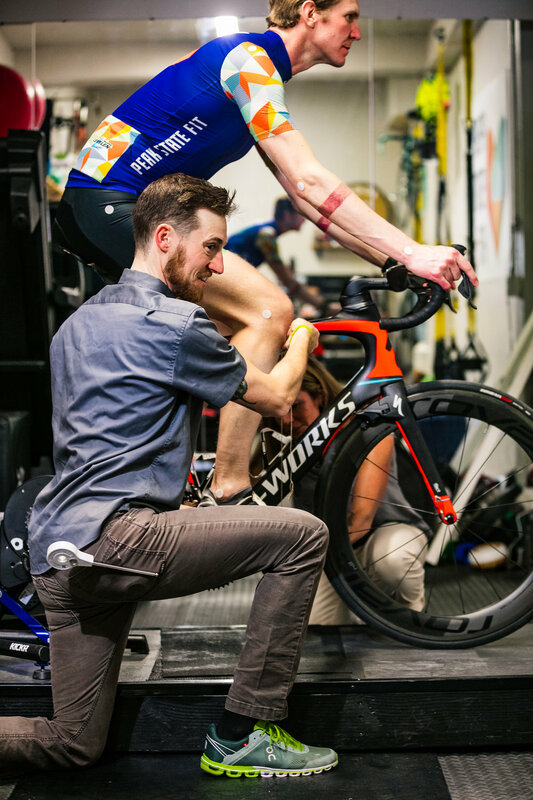 While other bike fitting services send you away with your fit alone, Peak State Fit goes one step further by providing a thorough follow-up e-mail, describing the fit from start to finish. They provide final bike measurements, a series of detailed exercises to help the rider strengthen their imbalances, and improve on the basic foundational movements to optimize their body’s potential on the bike. You will leave with an improved knowledge of why your body moves the way it does, and a roadmap to help you to moving better both on and off the bike! 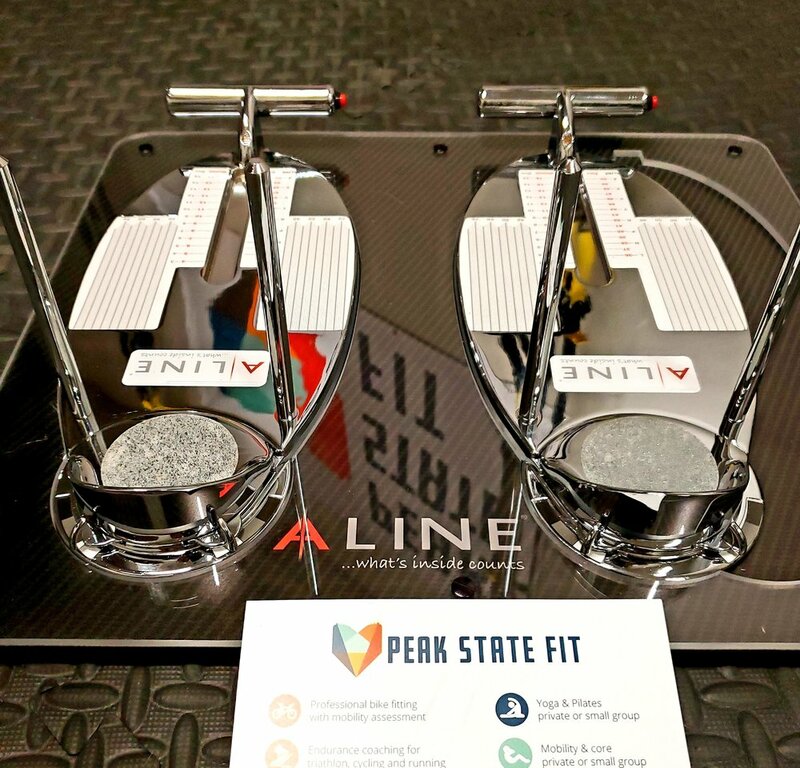 Peak State Fit is stoked to be an official Aline provider to revolutionize how you move! 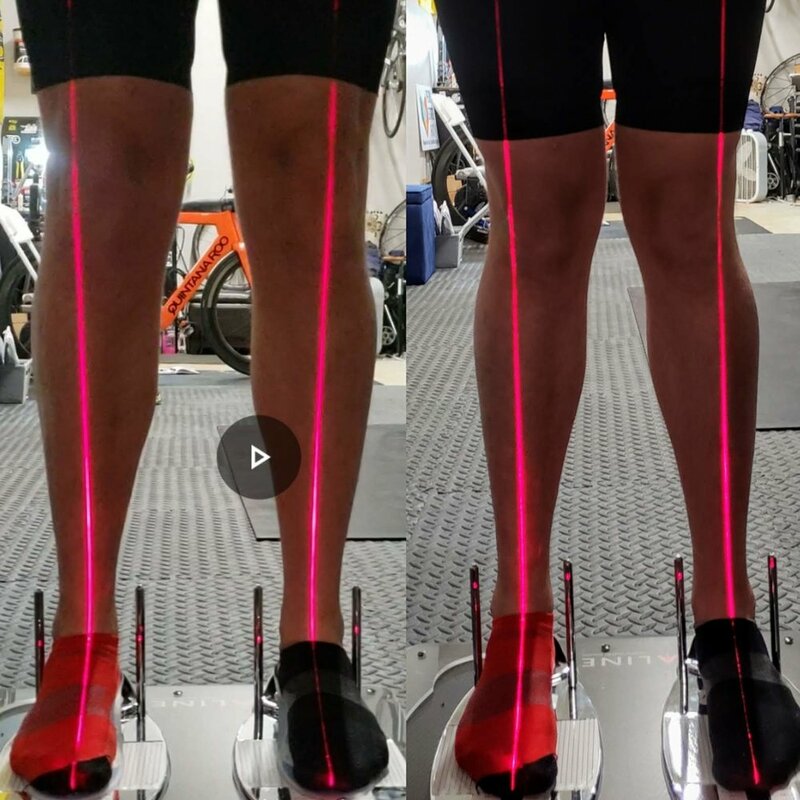 We start with a lower body alignment analysis using the Aline fitting system to address your individual movement pattern. Using your assessment and arch length we will determine which Aline insole and heel wedge combination is optimal for you. Aline suspension technology helps you move better by suspending and supporting your feet. Aline insoles are perfect for everyone, every day! What is described as lower back pain, sore feet, and aching knees can often be caused by improper motion of the foot. Aline will help correct the alignment of your entire body and improve posture.